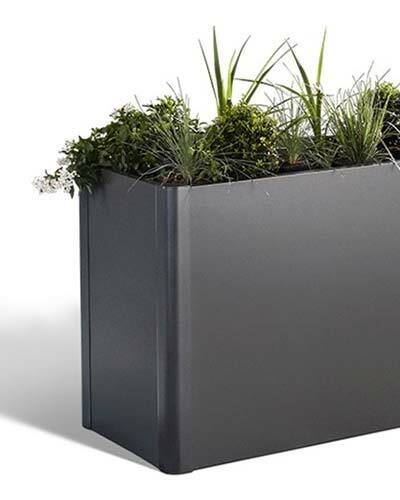 As the new ‘friend’ in your garden, the compostor MonAmi® combines practicality with a stylish appearance. 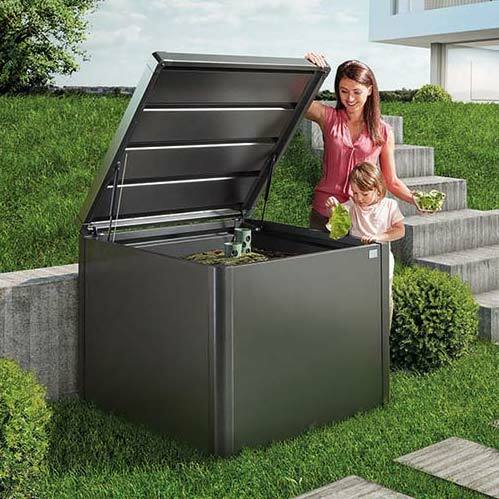 The front wall with sliding element ensures that emptying is easy and practical. 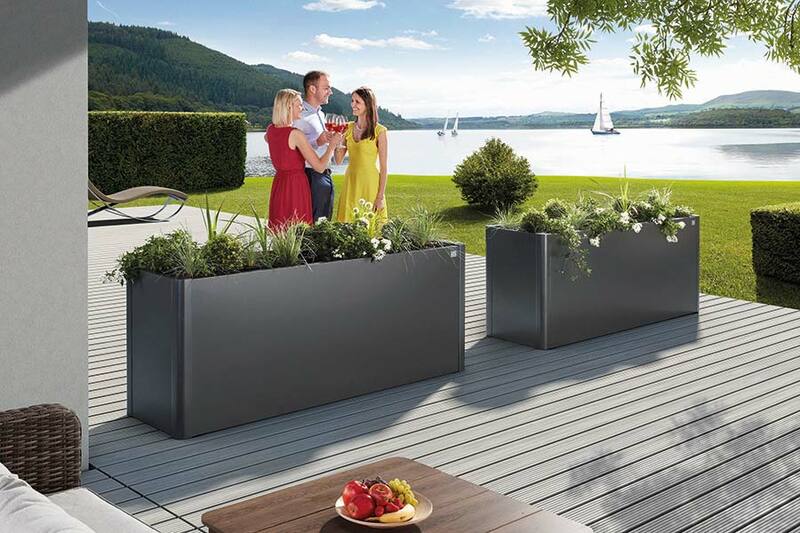 The planting bed Belvedere® impresses with its stylish appearance and will be the centre of attention on both terrace and balcony. 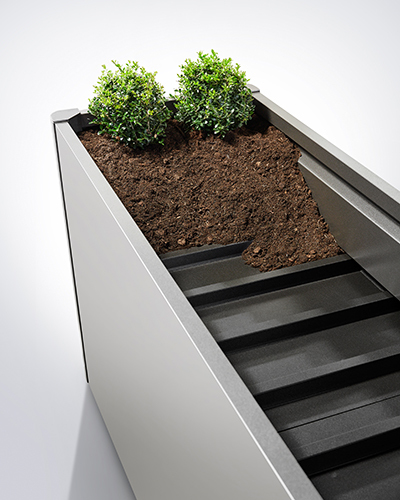 Fitted with an optional all-purpose intermediate false fl oor, this fl ower bed can provide a soil depth of up to 40cm. 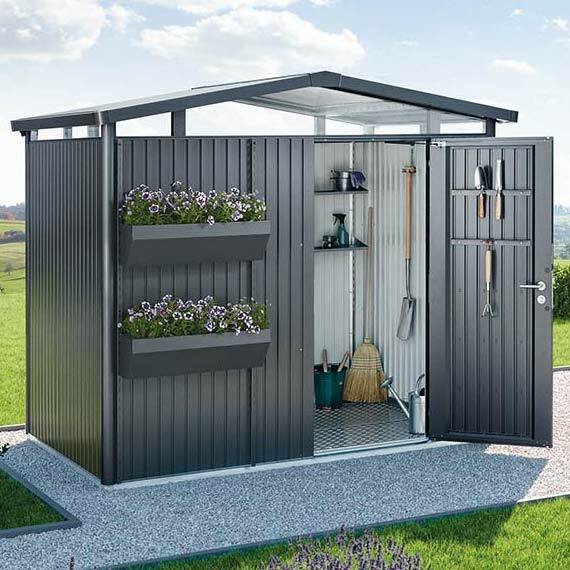 As an elegant and decorative addition, the FloraBoard® imparts a special charm when fi tted to Biohort Garden Sheds. 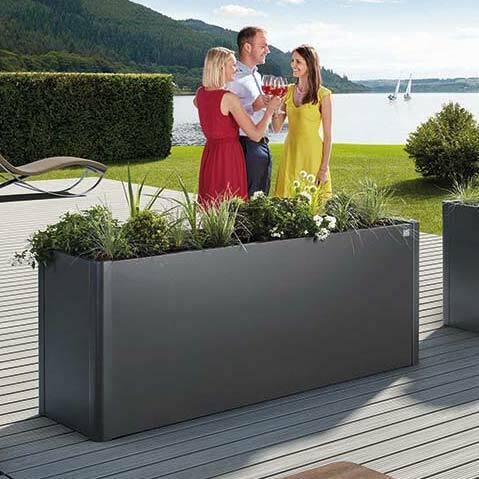 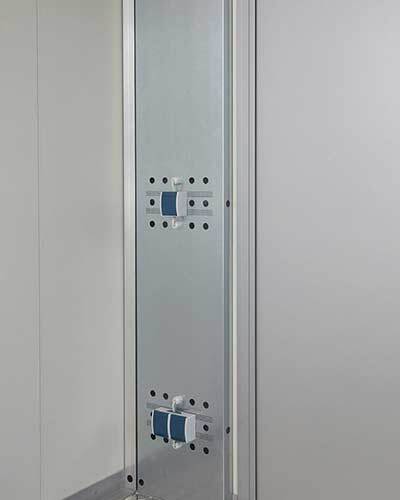 * It can be assembled and installed to suit the individual wishes and ideas of each customer. 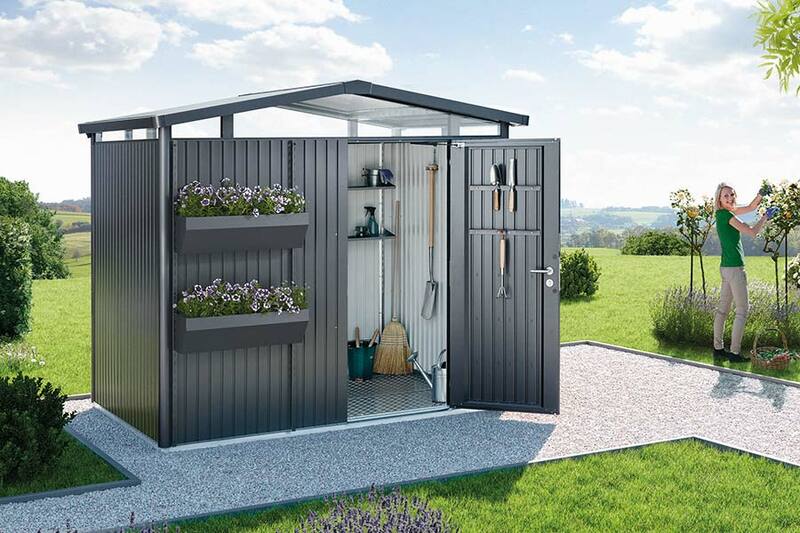 The new HighLine® side roof as an optional accessory for your Garden Shed. 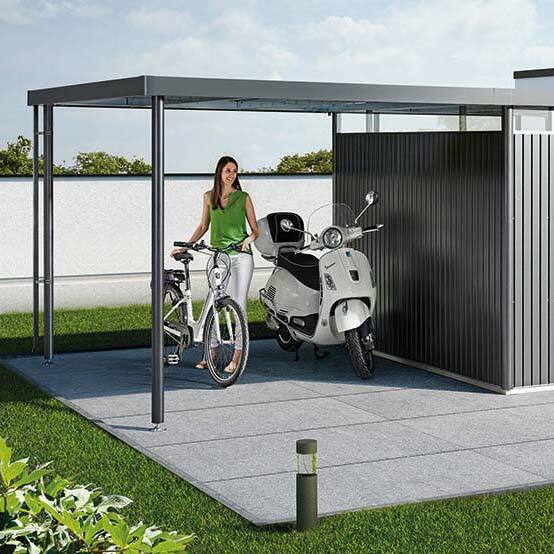 Providing additional outdoor benefi ts and protection against sun and rain. 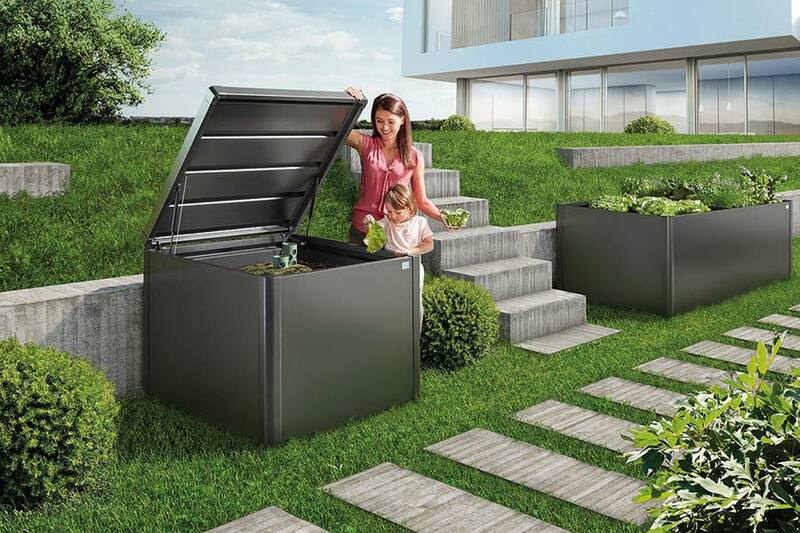 Available for raised vegetable beds with a width of 0.5 and 1 m.
Our Biohort raised vegetable bed is from 2019 also available in the sizes 1 x 0.5 and 2 x 0.5 m.
Electronics simply installed with the new Elekto mounting panel for the garden shed CasaNova®. 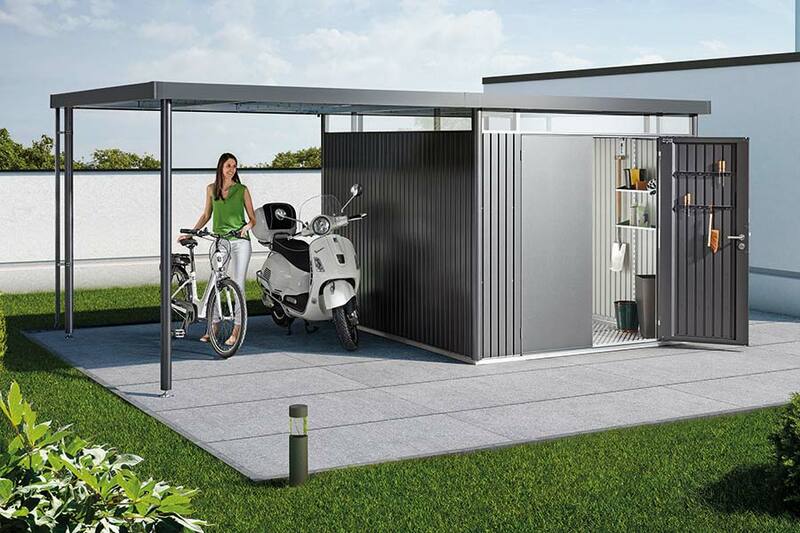 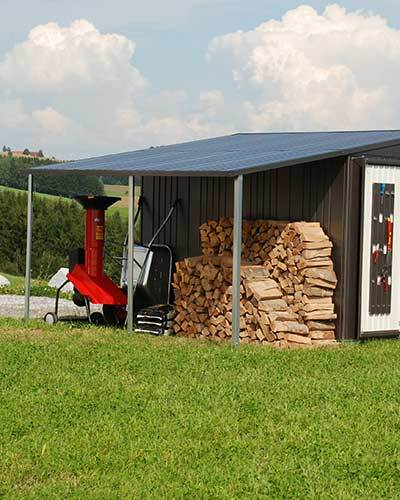 From 2019, a short downpipe will be included in the scope of delivery of the garden shed Europa with side roof.